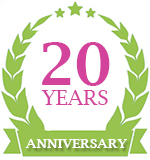 We have been trusted in providing quality healthcare throughout London for over twenty two years now. We pride ourselves on ensuring we have a great team of people around us and encourage them to learn and improve themselves every day. What is it like working as a health care assistant? To work as a health care assistant you will need to be kind, patient and compassionate. If you are interested in a career that allows to positively impact a person’s life then you have found yourself on the right page. At ANA we are always looking to expand our growing team of Health Care Assistants.